Hi there pretty! How is your day going? 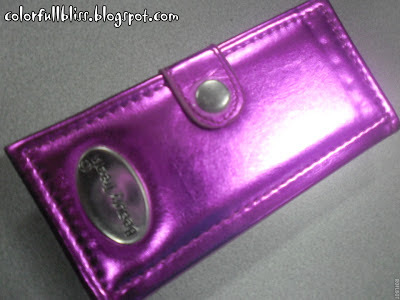 Last month, I got this wallet from Beauty treats here in Watsons. 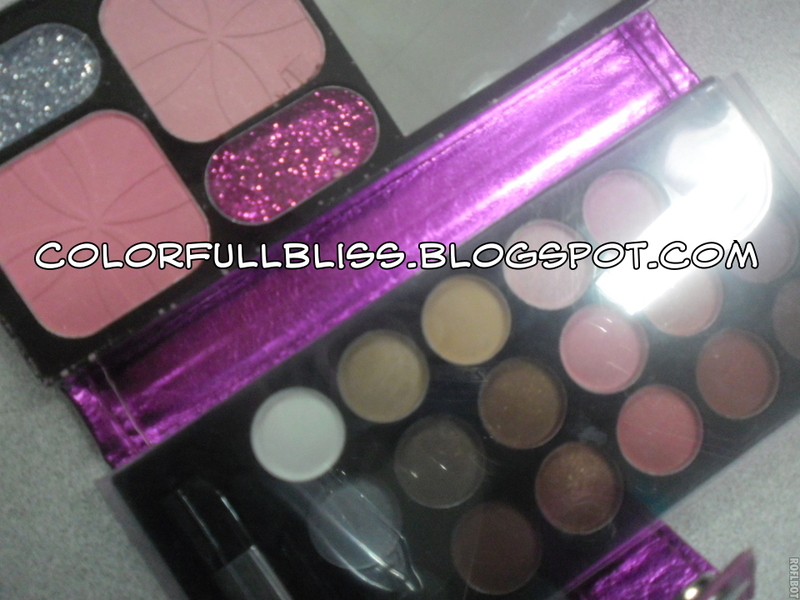 The beauty treats makeup wallet, was a freebie from Beauty treats since I hauled around 1500 pesos in purchases in makeup products. It was my first time to purchase that amount outside my usual AVON splurge for the last three years. It included with it one Bronzer, one Blusher, 2 glitter eyeshadows, 2 brush applicators, a mirror and 18 color palette eyeshadows in Matte and maybe Satin finish (well, I am not really sure) you guys, please correct me if I am wrong. The picture with the plastic casing as I opened it. The picture of the eyeshadows without the plastic cover on it. 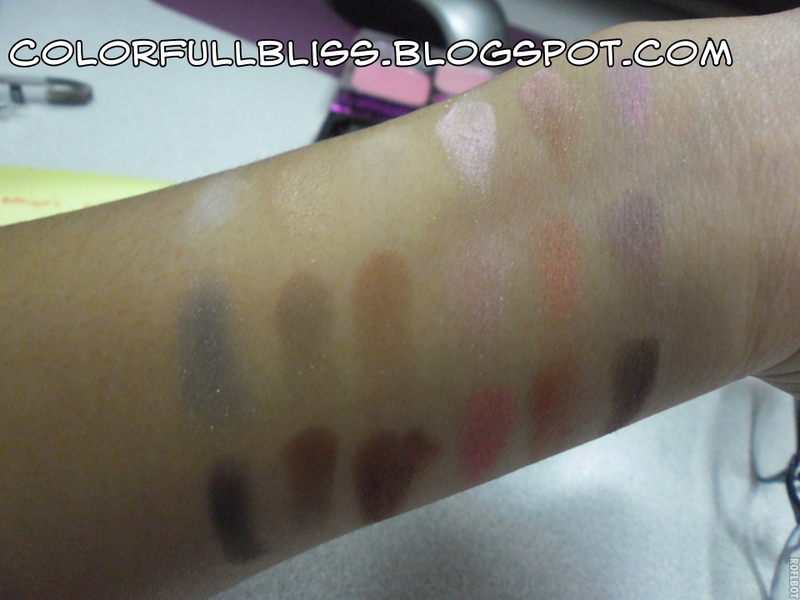 It has a variety of colors on it which is basically what I personally look for in a palette. 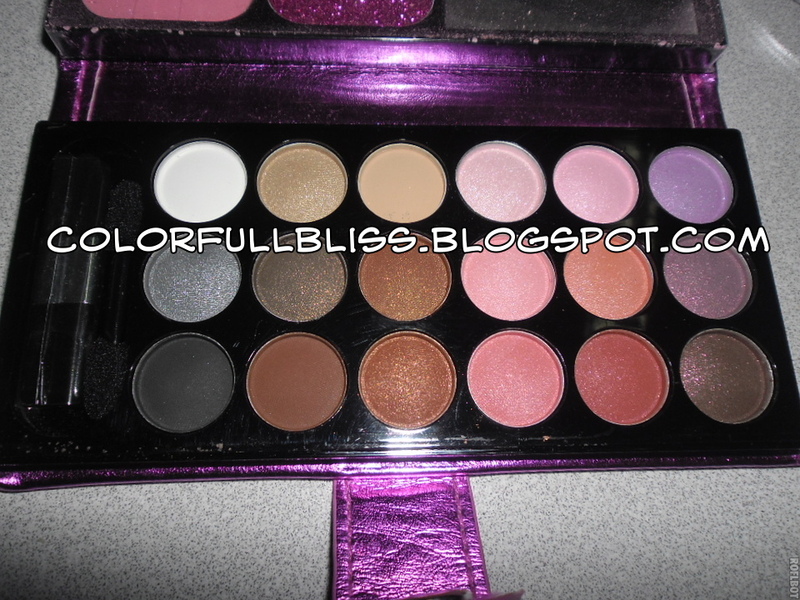 This is my first ever palette so I am quite excited to review it. What do you think about my first palette? This comes in really handy coz it is in a wallet form. February it is -- and a Splash of Colors? Do you Mind? I waaant! It's so perfect for travelling! !